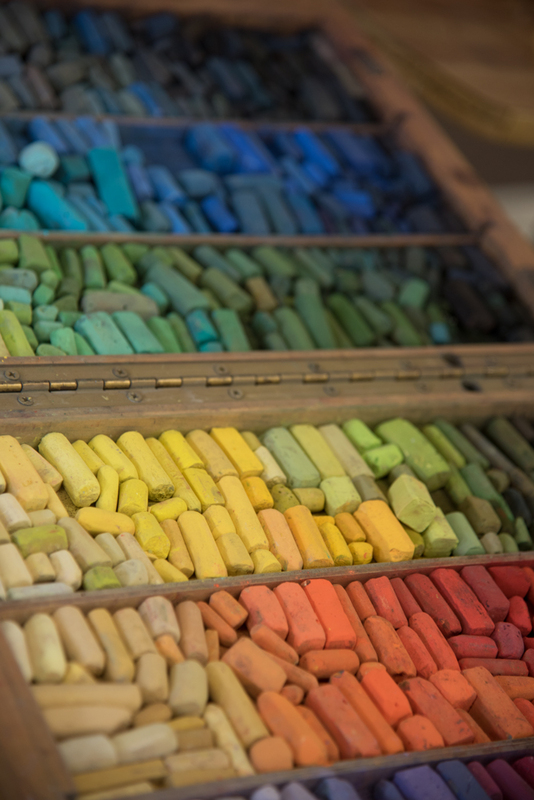 If there was a secret weapon to creating better paintings, would you want to know what it is? What if I told you that great artists for generations have deployed just such a weapon to hit the mark and raise the bar in their work. I really believe it's possible that one critical tool can hold the power to single-handedly elevate your work from average to amazing. Yet artists are often resistant to putting this tool to work for them. Why? I think one reason is because we think it will slow us down. We want to get to the real business of painting. You know the old adage, fools rush in. We confuse our initial burst of inspiration for preparation, and rush right past this critical stage of development. So, would you like to know what it is? The secret weapon to better paintings is (drumroll please...) thumbnail sketching. Thumbnail sketches are quickly executed, small problem-solving exercises that serve three specific goals in the planning of your next painting. These three goals are so important to pursue if you are to correctly deploy this powerful tool and gain maximum results. Attempt to simplify the complex scene before you into large masses of dark, middle and light values, arranging them into a pattern of value shapes. If you haven't done this before, try creating a simple tonal key of three values with a pencil, to help you identify and limit your values to just three. This is challenging at first, but very rewarding once you get the hang of it. The natural world before us abounds with subtlety and complexity. Even the reference photographs that we use can have far more subtlety than we need for our paintings. Attempt to reduce the dizzying array of subtlety and detail in your subject down to just five to seven simple shapes, then organize your shapes in an interesting and appealing way to communicate your vision. Become the director of your scene, putting every member of the cast to work for you in achieving your vision. Remember, there should be only one star of the show, so choose your lead wisely! Sketching small and quickly, experiment with your scene in both vertical and horizontal rectangles, square, and even panoramic to discover which approach will bring your concept to life most effectively. Push past your first impression of what is possible with the composition to explore new approaches. Don't ignore this critical stage, just because you are inspired and want to press forward into the "real thing!" No amount of detail will save a poorly designed painting, so try to get it right from the start. Your investment of even 10 minutes to develop a strong design will improve the resulting work tremendously. There you have it, the three essential goals of thumbnail sketching. 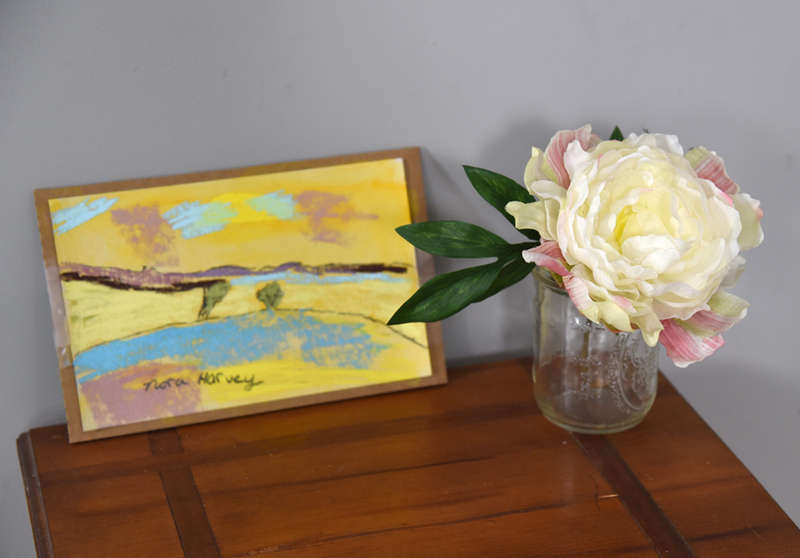 Putting them to work for you is indeed a secret weapon for better paintings. Would you like to work with me in person alongside a group of motivated and encouraging artists that will spur you forward? Consider joining a workshop near you by reviewing the 2018 Workshop list below. It would be my honor to help you develop your creative potential this year! Workshops are such an inspiring time of collaboration and growth for all involved. I just hosted a portrait workshop sponsored by our friends at UART Premium Sanded Paper. We thought you would enjoy a window into our creative experience, so we made a video to give you a taste of our time together! What a fun and talented group of artists came together to encourage one another in their creative development and learn with me. Are you looking for some further inspiration yourself? Don't miss out on upcoming opportunities to grow! View our 2018 workshop schedule here. I've already been dreaming of the upcoming Scotland Paint Away Workshop in July, 2018. I couldn't help myself, and created a quick pastel video of an inspiring Scottish loch to spread the wonder with you. I hope you enjoy this short demonstration painting. Register now to join me next July and create your own inspiring paintings in Scotland! These 5 steps will help you design a winning collaboration with your next client and grow your portrait business. You love creating portraits. You’re passionate about people as well as your art, and you want to grow your portrait business. Why? Because getting more commissions and generating income through your art allows you to do what you love- to create- and fulfill your purpose as an artist. Portrait commissions are a special kind of art; a true collaboration between the artist and the client. When they go well, these two parties work together effectively to bring a beautiful portrait to life. But when they go wrong, the process can be frustrating, stressful, disappointing and draining for both the artist and the client, and the end product is far from your best work. So, how do you ensure that all your portrait commissions will be destined for success, leading to more and more commissions? One significant way is to develop a simple step-by-step process which yields your best results, then clearly describe the pathway that you and your client will travel together to reach this destination. Here’s the thing; your client doesn’t come with a third eye or a crystal ball that enables them to intuitively understand how they ought to work with you to achieve the greater outcome. And they aren’t artists, so they have no idea what you need from them in order to create your best work. That is, unless you clearly describe it to them. Now I know you are much more passionate about creating paintings than describing process. Trust me though, if you will take the time to define a step-by-step portrait process that clearly describes how you and the client can collaborate together to achieve the best result…you will clear away the fog of confusion surrounding the creative process and help your prospective client see what success could look like should they choose to work with you. Keep it simple, no more than six steps, and each step should highlight what you will do for them while describing what you’ll need from them in order to fulfill their wishes for a great portrait. In the absence of these clear expectations, a client can feel insecure about whether working with you will yield the results they desire. This insecurity may lead them to hire another less talented artist who happens to communicate more clearly than you do. This is tragic, since you would have done such an amazing job! 1. THE INTERVIEW- This is where it all begins. You listen well to the client, finding out what their hopes and dreams for the portrait are, as well as who the subject of this portrait will be. Ask a lot of questions to ensure you understand the client’s wishes. What kind of person is the subject? Should the mood be formal or informal? Where will the painting hang? Should the setting be inside or out? Discuss size, medium, clothing and background options. Then, once you are clear on their wishes, explain the portrait collaboration with them in a simple series of steps. Let them know where you will need decisions and feedback from them in order to make this a winning collaboration. This will remove the client’s fear of “offending the artist” as well as provide them with a clear role to play. Direct the process. Take control! Do you prefer afternoon light? Schedule the session outside during sunset. Do you love that indirect window light? Arrange for this. Will you bring your own lights to their home or host them in your studio? Let them know. How much time will you need with them? They are looking to you to be the visionary artist and take charge at this stage. Be Transparent: I will often let the client see some of the images on the back of my digital camera as I’m capturing them. This gets the client excited as well as giving you some feedback as to what they are responding to. On Site Image Review I often bring my portable laptop and download the images on the spot, creating a quick favorites folder on the spot of our top 10-20 images. This is an excellent way to narrow down the selection with the client’s involvement so you know you’re on the right track. Favorites Folder I then let the client know that I’m going to do a further review and edit, and will supply them with a favorites folder online (using something like Flickr or Shutterfly works great). The idea here is that in the end you ONLY SHOW IMAGES THAT YOU KNOW WILL MAKE GREAT PORTRAITS. I like to provide no more than 10 favorites images, and provide personal comments about the pro’s and con’s of each selection. The Final Selection Once I share the image folder, I sit back and let the client have time to make a final selection for the primary pose and portrait reference. We sign off on it, and I’m on to step 3! 3. 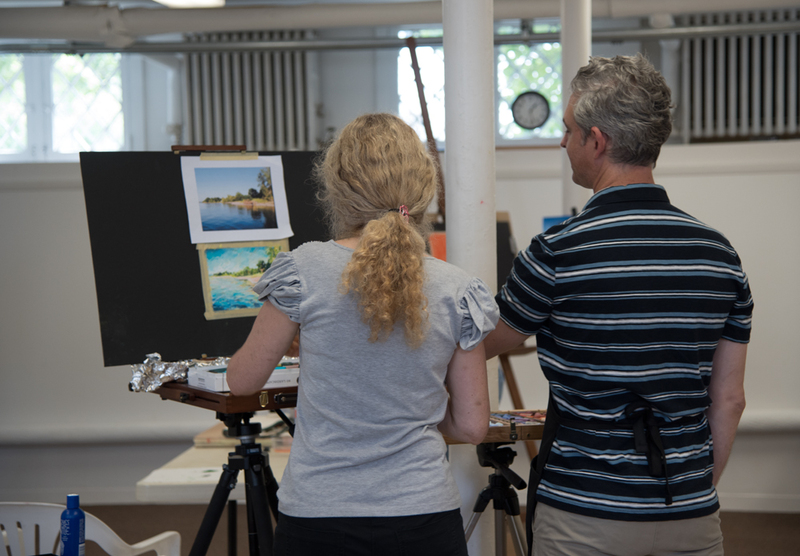 IN THE STUDIO- Now that you’ve got great reference and a clear agreement with the client about your pose and style for the portrait, it’s time to have fun painting! I can’t overstate just how significant it is to involve the client in the decision of selecting the pose and reference. This involvement builds excitement and confidence in the direction of the project. They can also begin to imagine what it will look like. 4. THE FEEDBACK STAGE- Once you develop your portrait to a level you feel confident with, it’s time to involve the client again. Let them see the painting, offer feedback to you, then make your final refinements based on their comments. Build this stage into the standart budget and process for your painting, you’ll be glad you did. Do you need a final sitting? Have this meeting at the studio or go visit them with a portable setup so you can check to make sure skin tones and eye colors are just right. Not sure how much to refine? Get your client’s feedback on how they feel about the level of finish at this stage. This can happen by sending them a digital image of the painting, or by having a personal meeting. Invite your client to tell you if they’d prefer more refinement in any passages of the painting. They will feel as if they’ve co-created the portrait with you, which is very gratifying for the collector. 5. THE UNVEILING- Now that you’ve made your final changes based on the client’s feedback, any confusion as to whether you are on the right track has been cleared away. From the very beginning of this creative process, you have been narrowing in on a masterpiece for your client, and they can feel it, which further excites them to see the finished portrait. Setup a plan for the unveiling—in your studio, at their home, or even at the framing studio. At this final stage of delivery, you get to celebrate together the development of this beautiful piece of art, while at the same time giving the client a positive experience with you—the artist. Positive experiences lead to great testimonials, which lead to more commissions! Well done. You’ve implemented the 5 stages of a portrait collaboration with your client that will yield great results and grow your portrait business. Keep up the great work! 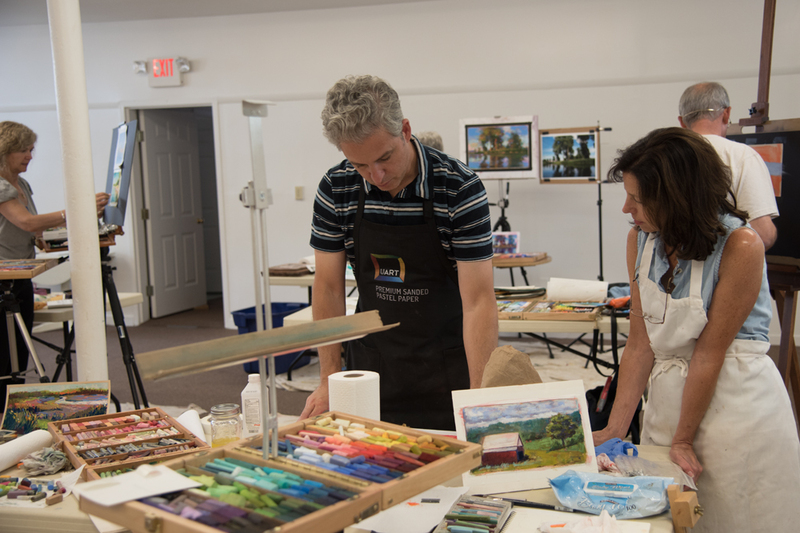 I recently hosted a painterly landscape workshop over the weekend in Newtown, CT. This experience was a powerful reminder to me of why I love to teach. Let's face it, I really love painting, but there is something incredible about empowering others in their artistic journey. In one room full of workshop participants, I encountered so many stories of creative breakthrough and fulfillment. 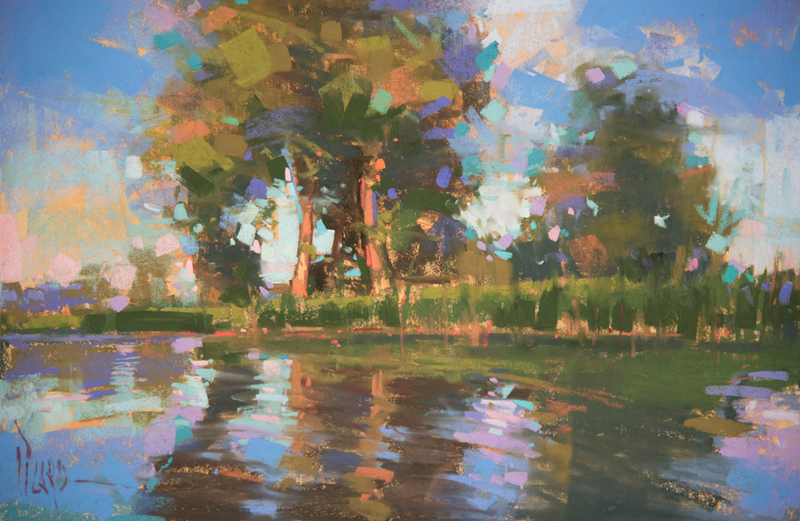 One participant painted his very first landscape in pastel with bold, vibrant strokes, and at once a lifelong desire to paint had become a reality. Another participant was newly experimenting with the medium of pastel, and painted her fist lush sunset. She now confesses to be a pastel convert. 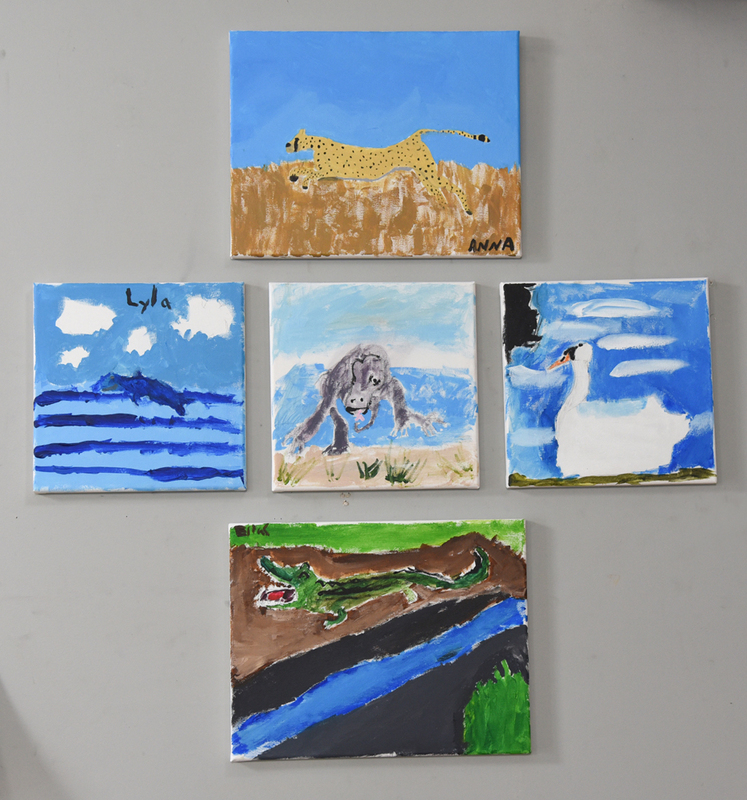 For another participant, this was her first personal workshop experience of any kind after an injury had limited her mobility and creative activity. She broke through and painted an absolutely stunning landscape. Yet another participant had just recently picked up a brush after 35 years away from the easel, and her joy at painting again was palpable. These are just a few of the stories I encountered during the weekend, and they fill me with fresh passion to encourage others in their pursuit of artistic development. .